It’s safe to say that the last few years have been something of a roller coaster for Puerto Rican based salsa singer and songwriter Juan Pablo Diaz. The roller coaster ride began when he was offered a recording contract, that he had worked so hard towards. It was dangled in front of him like a carrot, only to be snatched away at the last-minute. This was a devastating blow, and one that many singers might not have recovered from. Fortunately, Juan Pablo Diaz was made of stronger stuff, and in 2013 he returned with his debut album Diaz. When Las calles de mi ciudad was chosen as the lead single, it reached number two on the various radio station charts in Puerto Rico. This was a huge boost to Juan Pablo Diaz’s confidence. Things got even better in late 2013, when Diaz featured on the National Popular Culture Foundation of Puerto Rico’s list of the twenty best albums released during 2013. This went some way towards making up for the recording contract that never was. Despite enjoying a successful single and album, many within Puerto Rico still thought of Juan Pablo Diaz as an actor, which was what he started off as. Especially, comedy which was his speciality and lead to him enjoying a parallel career as a comedian. However, eventually, he followed in the footsteps of his father who was a musician. Both of Juan Pablo Diaz’s parents were involved in show business, with his father working as a musician and as a television host, while his mother was a dancer. Whenever she had some free time, she would head to the salsa club to dance. However, despite his mother’s love of salsa and his father working as a musician, Juan Pablo Diaz ended up working as an actor. Juan Pablo Diaz never ever, thought that one day he would become a salsa singer and songwriter. “I was into classic rock and funk and soul when I started writing songs in my early teens. I was into salsa but more as a fan, not as a performer.” Instead, he idolised Lenny Kravitz, and dreamt of becoming the Puerto Rican of the American rocker. It was a theatre production that featured salsa that ended up transforming Juan Pablo Diaz’s career. This resulted in him reinventing himself as a singer, although he’s been known to make the occasional guest appearance with Teatro Breve. Mostly, though Juan Pablo Diaz concentrates on his musical career nowadays. Back when Juan Pablo Diaz decided to embark upon a musical career, little did he know that this was the start of a lengthy musical apprenticeship. During that period, he honed his skills as a salsa singer, and after weeks, months and years became a popular draw in Puerto Rica’s clubs. Eventually, Juan Pablo Diaz was offered a recording contract, which sadly, fell through at the last-minute. Despite this huge blow, the singer-songwriter continued his career and was determined that one day he would release his debut album. Juan Pablo Diaz even kept the unfinished painting that was meant to adorn the cover of the album that never was. It would motivate him, and drive him on, as he worked towards releasing his debut album. That proved to the case, as Diaz found an audience amongst fans of Puerto Rican salsa fans. Juan Pablo Diaz watched as his debut album climbed the Puerto Rican charts, before topping the charts. Against all the odds, Juan Pablo Diaz who was still a relatively unknown name had triumphed with his debut album Diaz. Featuring the poignant, unfinished painting Fase Dos was self-released by Juan Pablo Diaz in Puerto Rico during the second half of 2016. Just like his debut album Diaz, his sophomore album Fase Dos was released to critical acclaim in Puerto Rico. That was no surprise given the quality of Fase Dos which is a carefully crafted album that showcases a truly talented singer and songwriter. It’s also an album where strings and horns feature in many of the arrangements. This includes the irresistible album opener Canten where harmonies, horns, percussion and dancing strings accompany Juan Pablo Diaz on this joyous sounding track. The tempo drops on De Las Mala Compañías, but the horns, harmonies and percussion return as Juan Pablo Diaz delivers an impassioned vocal, before El Poderoso Caballero is full of social comment. Aquí o allá finds Juan Pablo Diaz breathing meaning and emotion into the lyrics about migration, against the carefully crafted arrangement. It’s a similar case on A tu lado where strings and horns accompany this rueful sounding old-school bolero. There’s also a melancholy sound to the cinematic strings on Preludio, before the tempo rises on País Gris which deals with Puerto Rico’s struggling economy. He then turns his attention to the ballads No Fue Suficiente and De Efectos Y Causas, which seem to bring out the best in him. After this, Juan Pablo Diaz heads for the dance-floor on Un Vez Yo Te Quisí, before he gives Argentine rocker Gustavo Cerati’s Puente a salsa makeover. Closing Fase Dos is Requiem Para Lita, a beautiful string-drenched song about love lost. 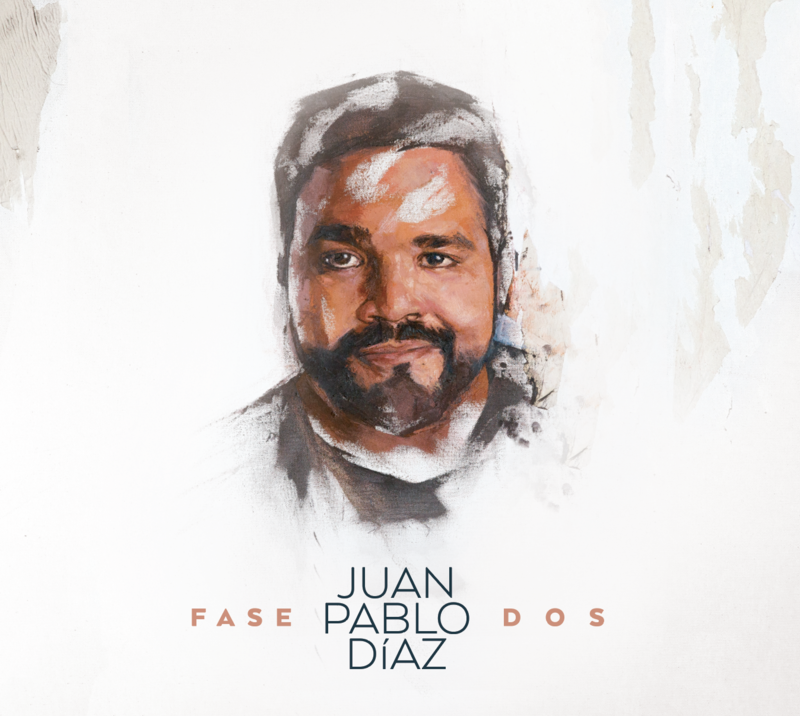 Three years after releasing his debut album Diaz, Juan Pablo Diaz had returned with his critically sophomore album Fase Dos and his career seemed to be going from strength-to-strength. Especially when he received his first Latin Grammy nomination in 2017 for Fase Dos. Sadly, Juan Pablo Diaz wasn’t aware of this at the time. At the tome, Puerto Rico had been devastated by hurricanes, and left islanders without electricity. It was only several weeks after the shortlist for the Latin Grammy nominations were announced that Juan Pablo Diaz realised he had been nominated. This was a proud day for him, but one that was tinged with sadness when he saw the extent of the damage caused by the hurricanes. Nearly two years after Juan Pablo Diaz released Fase Dos in his native Puerto Rico, he’s hoping that the album will find a much wider audience outside of the island nation he still calls home. With its mixture of joyous uptempo tracks and beautiful ballads, Fase Dos is the finest album of Juan Pablo Diaz’s career. It’s also a very personal album, and one that is full of social comment as Juan Pablo Diaz contemplates the future for Puerto Rico. This is still his home and a place that he believes in and holds dearly. This is apparent from the music on his carefully crafted and career-defining sophomore album Fase Dos, which Puerto Rico’s new Prince of Salsa, Juan Pablo Diaz hopes will introduce his music to the wider audience it so richly deserves, and also remind them of his homeland.